Much mystery still surrounds the architecture of the Dark Ages, when supposedly barbarian tribes imposed themselves upon Europe, and the early Medieval period which followed. But it is clear that enough of the traditions of Rome survived in pockets, to later re-emerge as the Romanesque. 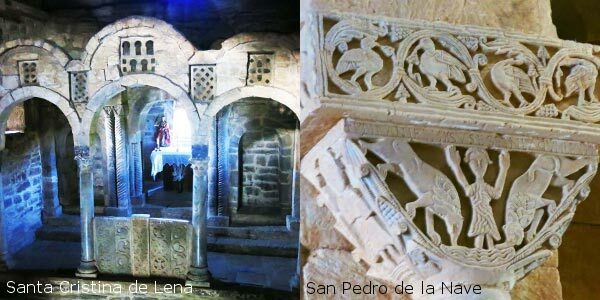 Nowhere is there more evidence of the process than in Spain, where the evolution from the late antique can be traced through the Visigothic, Asturian, Mozarab, First Romanesque and Mudejar. There are surprising links with the classical tradition, and with Syria, North Africa, Saxon England, and Lombardy. All this is illustrated in a range of sturdy and picturesque churches, mainly in remote locations, and built under conditions which it is hard to imagine today. Emeritus Professor Miles Lewis, AM, FAHA, is an architectural historian specialising in the cultural history of building, an honorary life fellow of the Comité International d’Architecture Vernaculaire, a UNESCO/ICOMOS World Heritage referee, and author of numerous publications. He is one of Australia's most notable architectural historians and was made a member of the Order of Australia for service to architectural history, heritage protection and urban planning.